Some Chicago aldermen are pushing the Chicago Housing Authority to make a move to stop cold-related deaths. 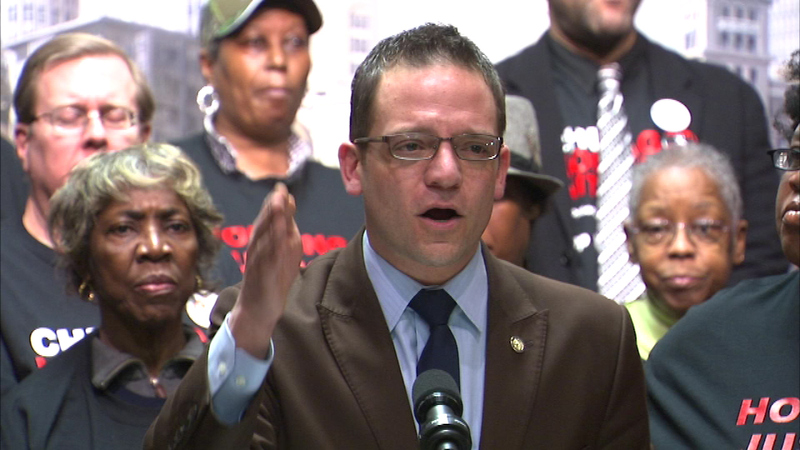 CHICAGO (WLS) -- Some Chicago aldermen are pushing the Chicago Housing Authority to make a move to stop cold-related deaths. They gathered at City Hall on Wednesday, calling for a hearing on the "Keeping the Promise" ordinance that would help some 10,000 more families find an affordable place to live. "The CHA is in an extremely unique position today, one of the only agencies in the nation that is cash rich. We're not going to them and saying create money, add a new tax on citizens, add new fees. They have the money," said Ald. Joe Moreno. This push for more affordable housing comes one day before volunteers will canvass the city to count the homeless.